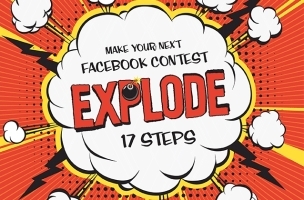 Pointing out that 35 percent of users who like Facebook pages do so in order to participate in contests, Facebook application creator ShortStack prepared an infographic outlining 17 steps that page administrators can take to ensure that their contests are successful. Decide if you really need a contest. Host the right type of contest. Familiarize yourself with Facebook’s policies and guidelines. Decide if you want to use a third-party application. If you’re using a third-party app, choose one with three essential features: flexibility, embeddable capabilities, and mobile capabilities. If you’re using a third-party app, choose one that won’t bust your budget. Weigh the pros and cons of fan-gating.